If you own a truck, SUV or Jeep, one of the major components of your vehicle that must be maintained in order to give you top performance is your transmission. Since most 4×4’s transmissions are pretty complicated and are more intensive than the typical automatic trainy’s for cars, 4×4 enthusiasts should definitely pay attention to how their transmission is performing and keep up on maintenance. Whether you are towing your toys around town, hauling heavy loads for work or need to pull out a buddy stuck in the mud, your transmission plays a key part in performance. First off, the best thing you can do is consult your owner’s manual for the vehicle to determine what the recommended maintenance for the transmission is. Every vehicle is different and can vary immensely from one model to the next. 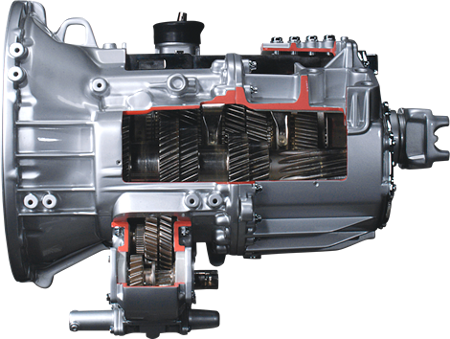 Some transmissions require very little maintenance each year, while others require specific maintenance at mileage or time intervals. Pay attention to the recommendations and keep in mind that hundreds of millions of dollars have gone into the engineering of these vehicles, so your vehicle marker usually knows best how to maintain the transmission for top performance. For new 4×4 vehicles, follow the manufacturers recommendations for changing the transmission fluid, however if you own an old clunker that hasn’t been maintained check with a good mechanic before changing the transmission fluid. In some cases, changing the fluid can do more harm than good; many times on older vehicles leaving the trainy alone is sometimes the best solution if it is giving you no problems. For those that haul heavy loads and tow often, you should consider a transmission cooler for your 4×4. These coolers are easy to install and quite affordable. Today, many heavy duty vehicles come with coolers, however if yours don’t it’s easy to add one.